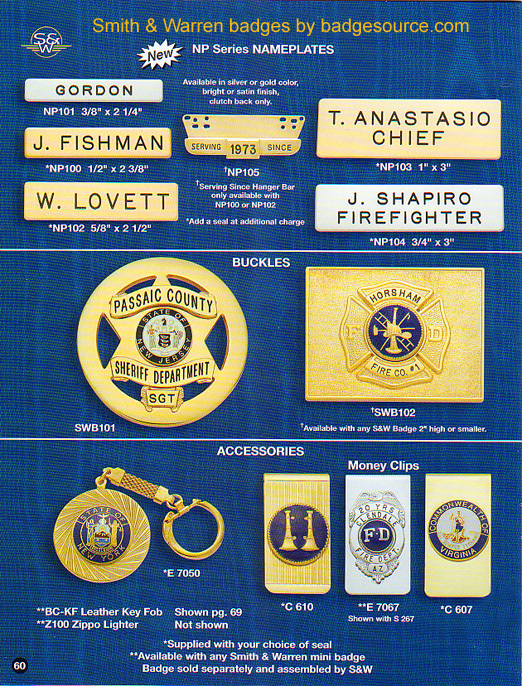 NP series nameplates available in polished or satin finish, either silver or gold. * Your choice of seal included in price. ** Available with any S&W mini badge, badge not included in price.